Apple’s introduction of the Lightning connector means that people like me who have both a new and an old iOS device have more cables to keep track of and less USB ports to plug them into. If you’re looking for a simple and cheap solution, have a look at the Bi-Cord. But just look at it, don’t put down money for it just yet. The Bi-Cord has a USB connector at one end. Then it splits into two cords, one with a 30-pin connector and one with a Lightning connector. Future versions could have connectors for other devices such as a micro-USB. Its inventor, Patrick Graham, claims that the Bi-Cord can be used to charge two devices at once. What I don’t know is if the cord can also sync two devices at once. The cords are each 6′ long and are made of braided nylon for added durability. 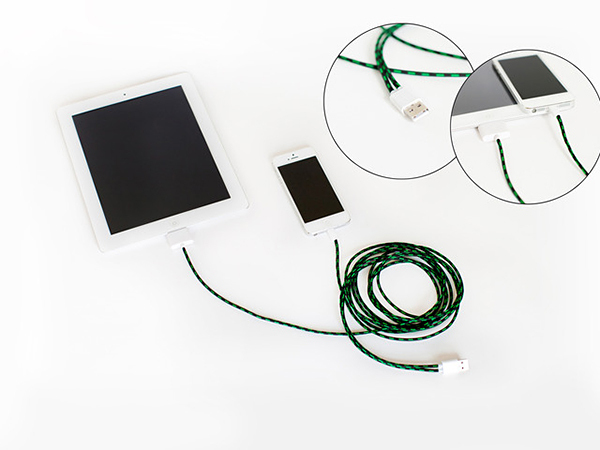 Pledge at least $15 (USD) on Kickstarter to get a Bi-Cord as a reward. On one hand, that’s a good deal, considering Apple sells its cables for $19 each. On the other hand, if I were you I’d wait until Patrick reveals more information about the Bi-Cord’s parts, particularly if Patrick uses Apple-certified connectors. Because if the connectors are not certified all we have here could be two broken cables in one. The USB 3.0 Promoter Group teased us with the prospect of a 10Gbps USB standard back in January, and it now has something to show for its work: the alliance has finalized its specification under the USB 3.1 name. While little has changed with the port format in half a year's time, its completion lets AMD, Intel and others start work on chipsets that offer twice the bandwidth of USB 3.0 while preserving support for USB 2.0. There's no public roadmap for the first USB 3.1 devices, although the first related developer sessions will begin on August 21st. Not that the Promoter Group is necessarily in a rush -- while Intel's Thunderbolt 2 will hit an even quicker 20Gbps this year, the new USB format is more likely to receive broad support. Port space is very limited on laptops, but Apple has just received a patent that could solve that problem in the simplest way possible: cramming two ports into one. 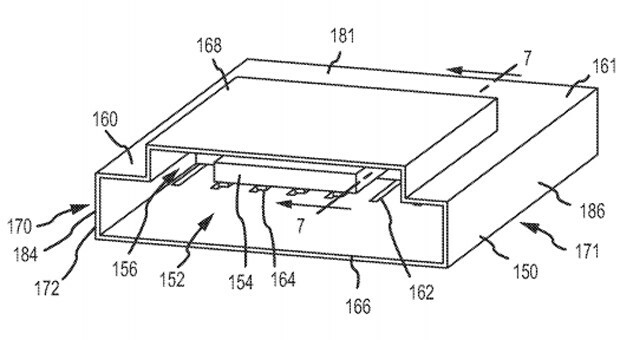 Expanding on what we've seen with some multi-format card readers, Apple has designed a layered port whose staggered electrical contacts and overall shape let it accept two different connectors. While the company uses the combination of a USB port and SD card reader as its example, the patent could theoretically apply to any two technologies that make sense together. The real question is whether or not Apple will use its invention at all. The Mac maker has a few slim portables that could use some expansion, but there's no evidence that the company will tweak its computer designs in the near future. If you own a MacBook, then you’re probably thankful for its handy MagSafe, the magnetized power connector for your laptop’s charger. Not only does it make connecting the charger to your laptop insanely easy, it also detaches fairly easily. When you trip over the cord or yank it off forcefully, it won’t take your precious MacBook down with it. 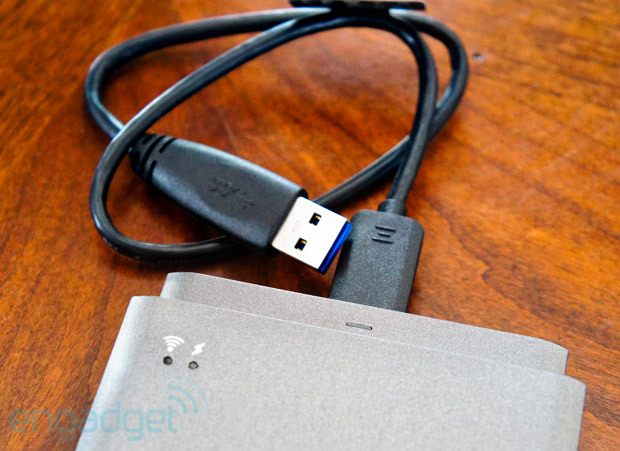 The Neo-Plug works just like the MagSafe, except it’s for mobile devices. Invented by Jacob Brozek, the Neo-Plug takes its name from the neodymium magnets that connect its two parts together. Jacob’s design essentially divides the connector end of a charger or data cable into two parts. One end stays on the cable while the other end stays on the port of your mobile device. The magnets embedded on both halves connect the two parts effortlessly. Brozek is seeking to raise $167,000(USD) on Kickstarter by May 8 to finish his product, but with such a good product I think he’ll raise more than that amount. 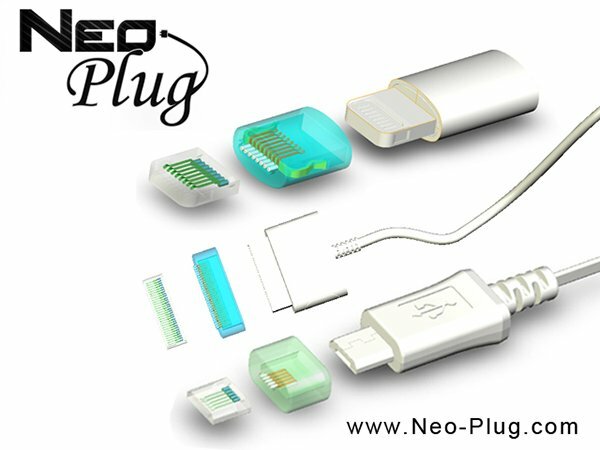 As of now the Neo-Plug has three variants – micro-USB, 30-pin and Lightning. Pledge at least $30 and you get a Neo-Plug of your choice. You can also learn more about the Neo-Plug on its website. Don't call it USB 4.0. Here in Las Vegas, the USB 3.0 Promoter Group announced the development of a SuperSpeed USB (that's USB 3.0, if you're curious) enhancement that will "add a much higher data rate, delivering up to twice the data through-put performance of existing SuperSpeed USB over enhanced, fully backward compatible USB connectors and cables." This supplement to the USB 3.0 specification is anticipated to be completed by the middle of this year, bringing along a new 10Gbps data rate, improved data encoding for more efficient data transfer, and of course, compatibility with existing 5Gbps hubs and devices (and even USB 2.0 products). We've yet to hear of any device makers trotting out new gear that'll handle the new spec, but hopefully we'll hear more at CES really gets rolling. iPhone users with a flotilla of 30-pin devices, desperate to restore connectivity with their newest handset's natty connector, can rest easy. Cupertino has contacted several Australians who pre-ordered the 30-pin to Lightning adapter to tell them they can expect the first units to arrive tomorrow. The Stateside store is still promising a generic "October" launch, but it can't be too far away if the Antipodeans are getting theirs. Apple begins shipping its Lightning to 30-pin adapter at the speed of... freight originally appeared on Engadget on Mon, 08 Oct 2012 08:22:00 EDT. Please see our terms for use of feeds. 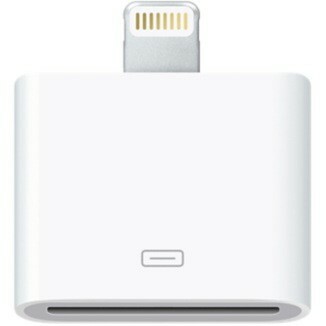 If you were miffed at having to pay $29 to adapt your existing iPhone accessories to the iPhone 5's newfangled Lightning connector, fear not: Apple will throw in the first adapter, gratis. Extras will still run the aforementioned sum, which Cupertino has justified by saying the units will include chips to enable features like analog and USB audio along with syncing and charging. There's also a $39 cable version available, but neither format will let you output HDMI or VGA video -- there's more (as yet unpriced) adapters coming for that. Update: Well, the plot thickens. We're now hearing reports that the above wording is a mistake, and that the adapter isn't included after all. The information comes via a reader of The Next Web, who advises Apple sales support informed them it was an error. Of course, we're reaching out to get the final word on the matter. However, that won't be much consolation to those who made a purchase based on incorrect info. Update 2: The above wording is now nowhere to be found on Apple's site, suggesting that it was indeed an error. We'll keep you posted if we hear anything more. Update 3: Well, we've just received word from Apple confirming that the iPhone 5 will not ship with a 30-pin to Lightning adapter, which is a bit of a bummer. But, it does come with a Lightning to USB adapter, so if your current accessories have a USB port, all hope is not lost. Sadly, the specific iPod out functionality found in BMWs and Minis is not supported. The full comment is below. Apple's iPhone 5 will arrive with a free Lightning to 30-pin adapter (update: Apple officially says no it won't) originally appeared on Engadget on Fri, 14 Sep 2012 16:11:00 EDT. Please see our terms for use of feeds.